The holiday is over, everyone is back to work and back to school. The late breakfasts, long lazy days, and champagne suppers have all come to an end. I’m only joking about the champagne suppers! It usually takes us a couple of days to get into the groove of being altogether 24/7 under one roof. But once we get into the jive of things I think we could go on like that for quite a while. Usually about the time we get it all figured out, vacation is over and it’s back to life as usual. My honey always asks if I will be missing them upon their return to work or school. And of course I do. But I am happy to have a chance to get the house back in order, clean like a crazy person, and then curl up on the couch with a cup, all tuckered out. It’s a rainy one here today on the East Coast so this cup of hot coffee hits the spot. 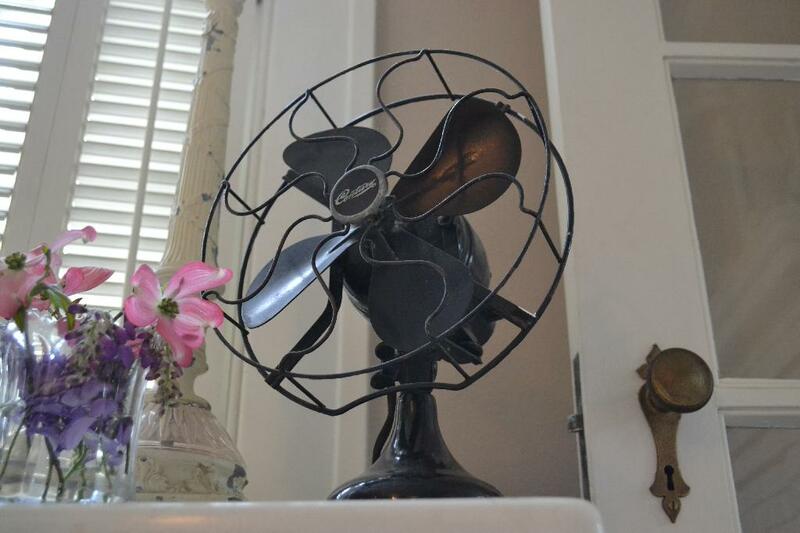 I added this vintage fan into the living room, mostly because we just purchased a whopper piece of furniture and I’m running out of room for little cuties like this one. 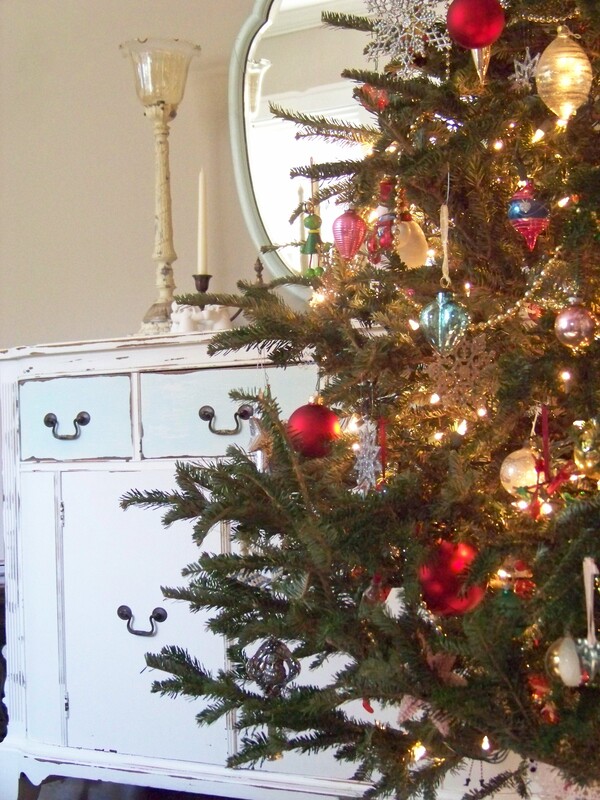 More on the furniture purchase coming soon… I’m feeling nervous and excited about it! 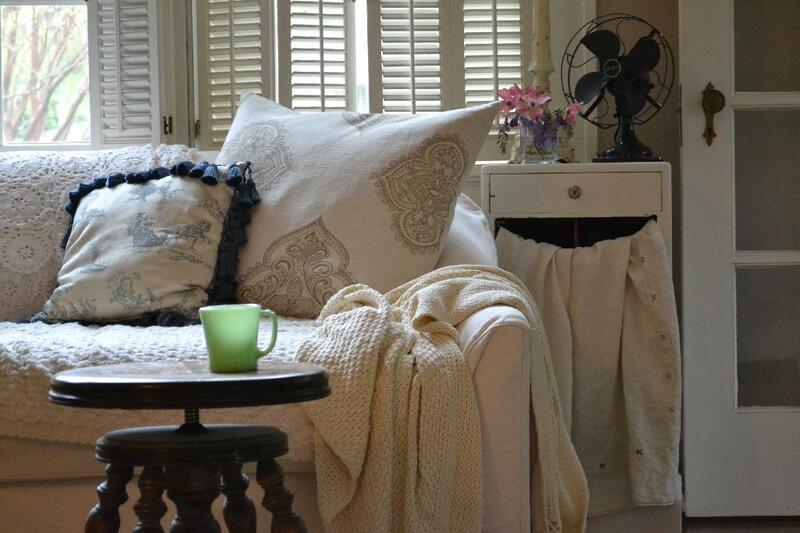 I love a vintage fan to conjure up daydreams of sweet summer days lazing in a hammock with a cool glass of lemonade. I’ve never actually done this, but doesn’t it sound just lovely! Spring is the most colorful time of year in our garden! 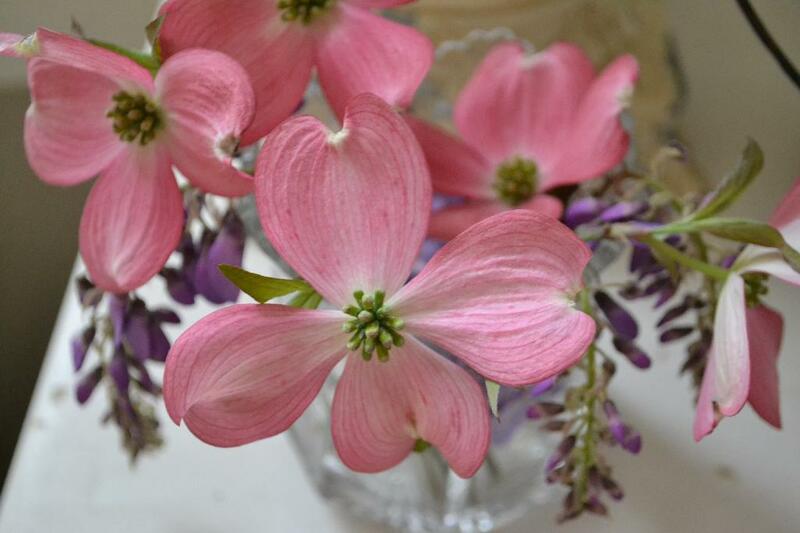 Everything is in full bloom — the pink dogwood and redbud trees are looking bright. The lavender wisteria is magically twisting about, and an abundance of azalea blooms are on the way. 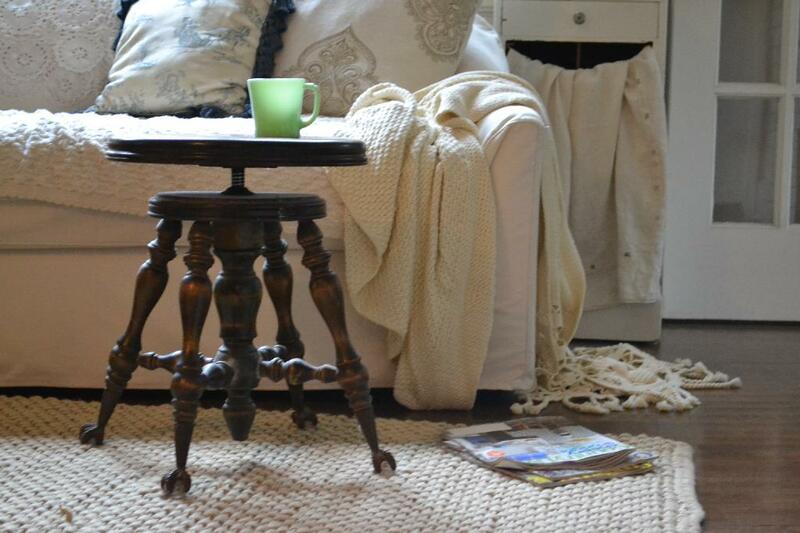 This entry was posted in vintage furniture and tagged accessories, vintage on April 15, 2014 by sally.